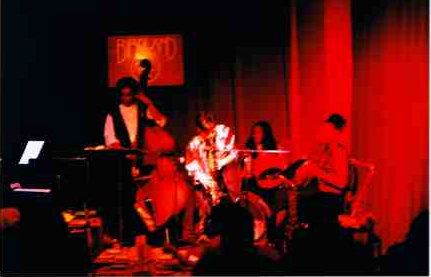 MASA is the Saxophonist & Vocalist actively performing in Japan and US born and raised on Osaka. 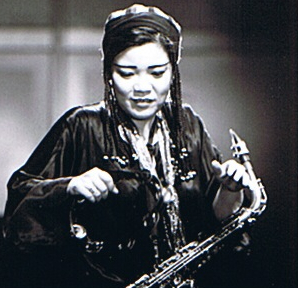 She started playing saxophone at age 12 and started taking practice lesson at age 15. After studying the Performing Art at Osaka University of Art, She came to New York to study Jazz and Contemporary as a saxophone major at New School University under the guidance of Reggie Workman. She has performed at Birdland, Michigan Womyn’s Misic Festival, Cherry Blossom Festival, St. Peter’s Church and Harajuku Cuest Hall, Suginami Civic Hall, Kawachinagano Civic Hall, Tondabayasi Civic Hall, Fukuyama Civic Hall, Moriguchi Civic Hall, Dawn Center Hall in Japan. 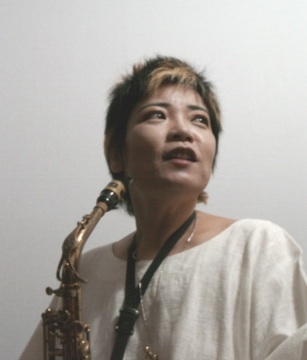 She has collaborated with the prominent artist including Dennis Charles, Zane Massey, Ricky Ford, Bross Townsend, Cecil Monrro, Kuni Mikami, Satoshi Inoue, Suhir Blackeagel, Miche Braden, Ubaka Hill, Tishiko Akiyoshi, Masaji Otsuka, Yutaka Sadoyama, Kan Mikami, Susumu Sakaguchi, Shizuno Nasu. She is a Feminist, Pacifist, Vegitarian, Ecologist. Takeda no Komori Uta / Lullaby of Takeda ete.